The Brisbane housing market has remained relatively flat over the first four months of the year. Core Logic has released their newest housing market update for May 2018. You can also check out the local reports for Melbourne and Sydney. Dwelling values are down 0.1% so far this year, in essence a flat result. The Brisbane unit market is been under a lot of focus due to high supply levels across key inner city suburbs, and overall, Brisbane unit values remain almost 12% lower than where they were ten years ago. 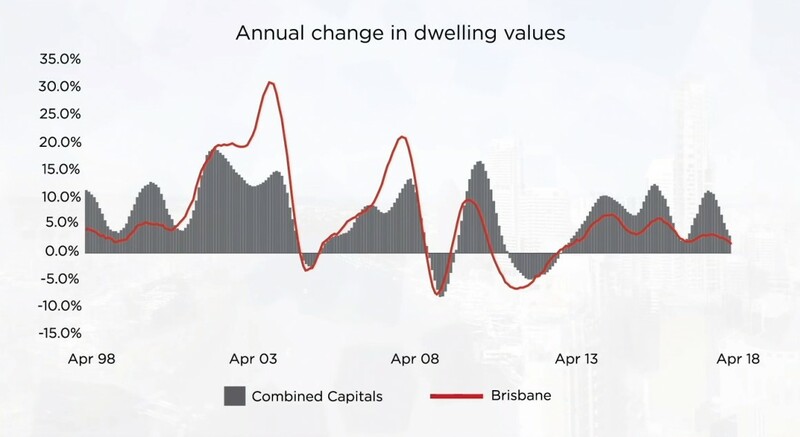 Despite the long term weakness, Brisbane unit values have edged higher over the first four months of the year, rising 0.1%. While it`s probably too early to signal the local unit market has turned a corner, it`s important to note that unit construction activity peaked almost two years ago and new supply additions are now tapering as population growth picks up.